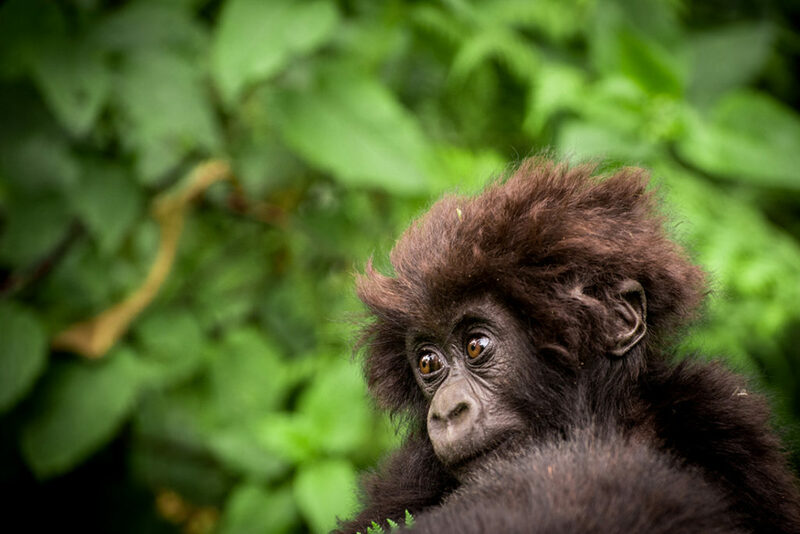 Our groundbreaking work to save critically endangered Grauer’s gorillas in Congo’s unprotected forests is carried out by some very special people, whose dedication, determination and skills make an almost impossible goal a reality. Here are three of our leaders whose work and fortitude make a crucial difference every day. Leading all our work in Congo is Urbain Ngobobo, who has led the Fossey Fund’s expanding work there since 2011, especially our growing Nkuba Conservation area, where we now have five teams of local Congolese trackers protecting Grauer’s gorillas every day, by working with traditional local landowners to designate their land for conservation and prevent hunting and other activities that threaten the forest. 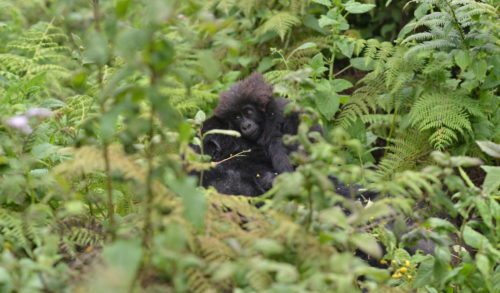 Urbain’s work for the Fossey Fund is extremely varied, including overseeing program staff, organizing field work, investigating new areas where gorillas may be found, and representing the Fossey Fund with local and international partners. He works very closely with local communities, who face many challenges, including extreme poverty, malnutrition and security concerns, making sure that our conservation efforts bring benefits to all those involved. Urbain holds a master’s degree in innovation development and society. Before joining the Fossey Fund, he worked with the Zoological Society of London and with the Frankfurt Zoological Society and did field work in several Congolese protected areas, including Virunga, Maiko, Garamba and Upemba National Parks. 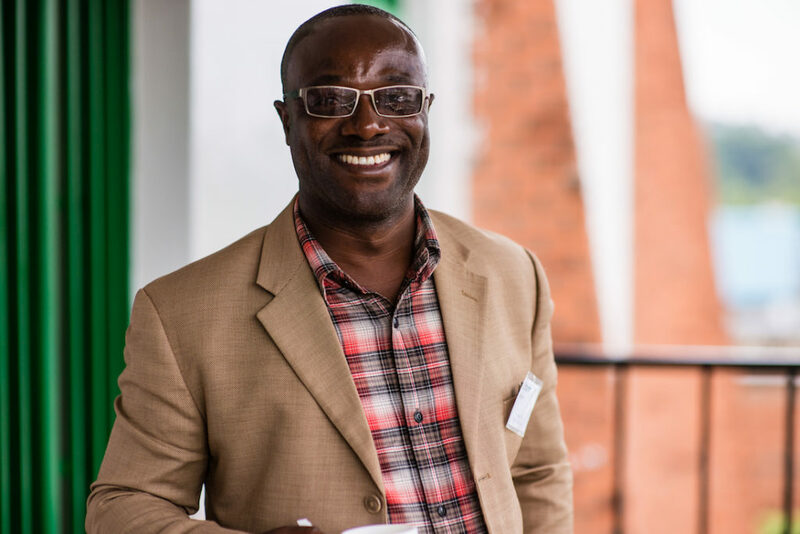 Escobar Binyinyi, who serves as our research and conservation program manager in Congo, has been with the Fossey Fund since 2004. 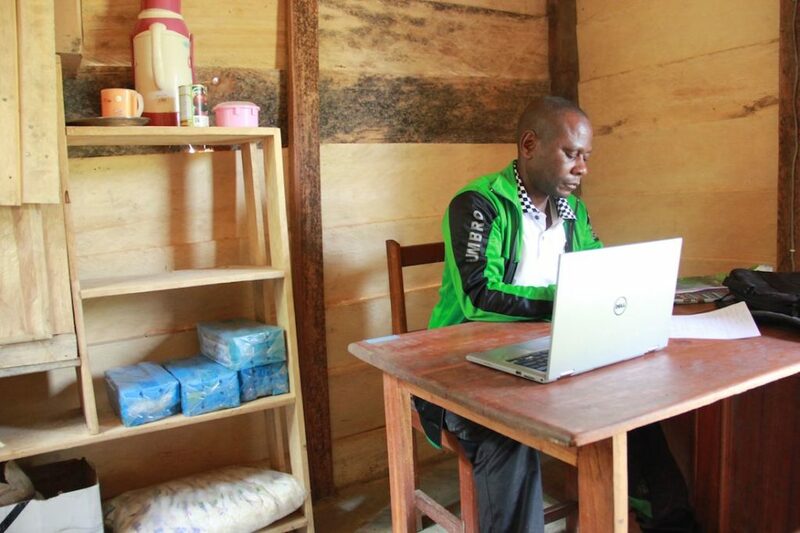 After seven years working as our GIS and database expert, he became a key field staff in Congo, where he helped set up our Nkuba research station. 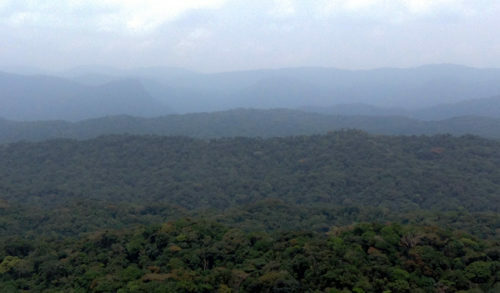 This is the center of our activities for providing daily protection for Grauer’s gorillas in community forests. Escobar now oversees all of our field teams in Congo, as well as our camera trap network, our data collection, and our GIS work, such as producing ranging maps of the gorillas that we track there. Escobar obtained his bachelor’s degree in management in 2003 in Goma and specialized in GIS in 2004 at the University of Rwanda in Butare. 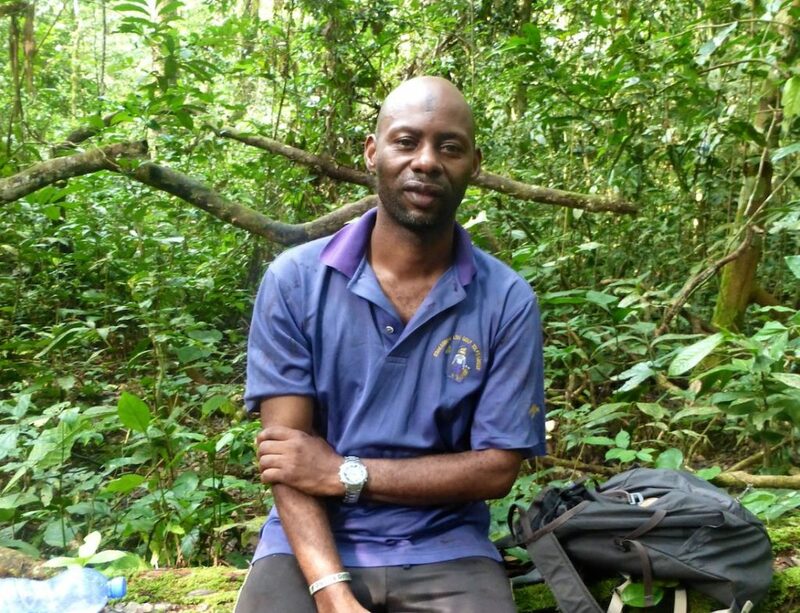 With that background, he says, he had no idea he would end up doing conservation work but that now he is passionate about it because he loves being in the forest. “There is something about being able to follow animal tracks to find them that really makes you appreciate how important it is to save them,” he says. 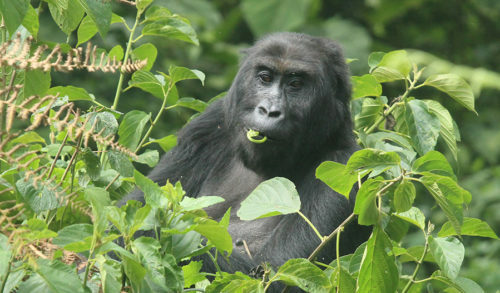 Escobar says he is very proud of how the Fossey Fund’s work has expanded over the years and his dream is that our work in Congo will one day become a big research center like Karisoke in Rwanda. 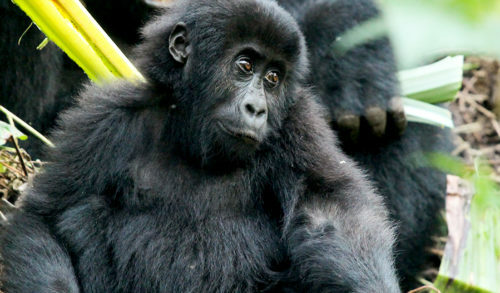 We still have so much to learn about Grauer’s gorillas, he says, but one day he hopes the world will know about the amazing work done with local communities in Nkuba to protect the gorillas. Guillame Mubira is the supervisor of our community work in Nkuba. He is called “Kapepa” because he is a chief in the Maniema region and that is the name given to all chiefs there. 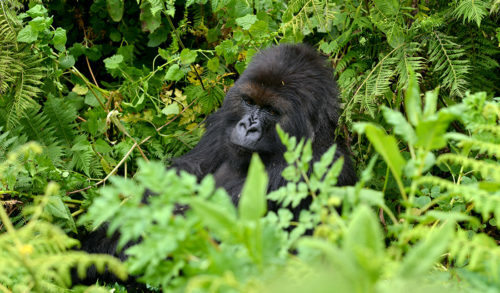 Kapepa originally became involved in gorilla conservation as a part of the Congolese association of gorilla reserves, which the Fossey Fund had helped with since 2001. He began working with the Fossey Fund directly in 2012 when our work in Nkuba began, because he saw the potential not only for protecting gorillas but for improving impoverished local communities. But, he explains, the area where we work is very rural and it takes time and patience to help people understand that conservation works and helps communities, even if it is hard and tiring, and requires people to change long-held habits. “It is inspiring to see many poachers now engaged in conservation with us,” he says. “But you can’t conserve if you don’t develop the place where you work. The forest has historically been our source for everything, and if we want to reduce pressures on the forest, we need to have alternatives for those needs, including food sources, clean water and livelihood opportunities,” he says.